Spooky. I'm sure all the photographs are haunted by the mad hatter. This book consists of an introductory essay by Colin Ford that excerpts much of the adult diary of Carroll. 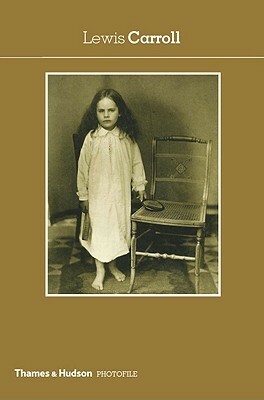 Following the essay is a large photofile many from private collections of the laborous photography of Carroll. Carroll's academic and emotional approach to photography is often featured by Ford however, as always the difficult questions of Carroll's relationships with his young subjects hangs over the work like an odd painting in an empty room. We even hear several theories as to why he stopped photographing subjects and we once again see young Alice Liddell factor into this decision. I don't see how anyone will want to miss the hundreds of photos or the quick read, and of course again deal with the difficult task of applying modern eyes and emotions to a century old shy stuttering theologian.